British kids will have to find their energy drinks somewhere else. In what is no doubt giving U.K. parents and teachers cause to rejoice, the country's supermarkets have announced that as of next month, they are banning sales of energy drinks like Monster and Red Bull to anyone under 16. Shoppers will need to present an ID to buy energy drinks, defined as any soft drink with over 150 mg of caffeine per liter. The ban, NPR reports, is just the latest in ongoing efforts by both the U.K. and European Union to regulate the sale of energy drinks, which, judging by the extremely intense stylings of the cans alone, seems at least worth exploring when it comes to say, 11-year-olds. Both already require drinks containing over the 150 mg of caffeine per liter limit to label themselves as: "High caffeine content. Not recommended for children or pregnant or breastfeeding women." According to the Mayo Clinic, 8 oz of coffee contains between 95 and 165 mg of caffeine, while the same amount of energy drinks can contain between 27-164 mg, depending on the drink. And if you've ever browsed the extensive selection at, say, a Wawa, you know that the cans can get quite a bit larger than that. While one nutrition researcher told NPR that there isn't a ton of empirical data on how that much caffeine can affect kids, that same lack of data is part of the problem. Plus, she adds, the lack of sleep it can cause alone can be damaging to the rest kids need to grow. The new measure is not a law but a voluntary effort by the stores themselves. It also doesn't cover places like convenience stores. But Sainsbury's, Morrisons, Lidl, Coop, Asda, Tesco, and Aldi supermarket chains are all following in the footsteps of Waitrose, which began banning sales to shoppers under 16 in January, and seems to come in part in response to pressure by everyone from The National Association of Schoolmasters Union of Women Teachers to Jamie Oliver. Other countries have gone further, with Lithuania and Latvia banning energy drink sales to people under 18, and Denmark, Turkey, Norway, Uruguay, Iceland, and France all attempting to implement restrictions to varying degrees of success. While some similar efforts have been made in the US, so far, none of them have stuck. 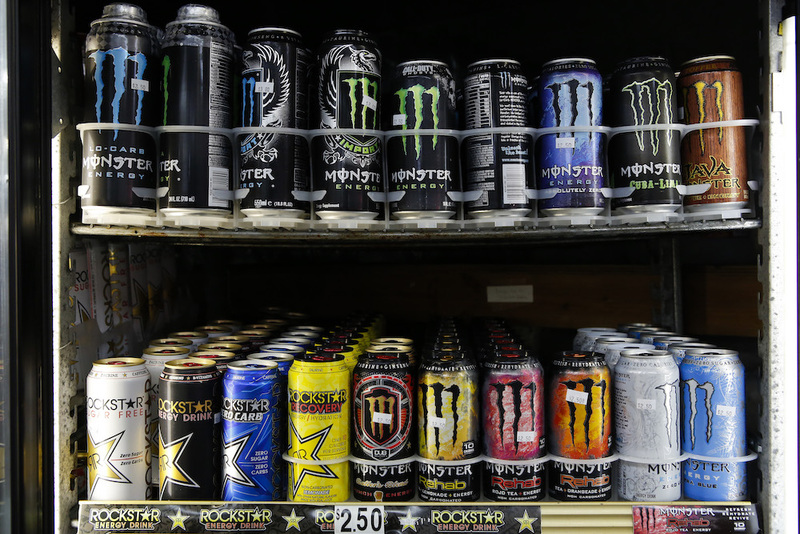 Should Kids Under 16 Be Allowed to Buy Energy Drinks?